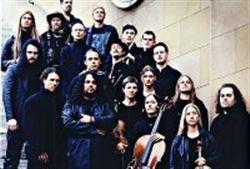 BLACK SABBATH meets Johann Sebastian BACH? This may be a very loose description of the 16-member outfit from Munich, but the fact is their roots lie as much in death metal as in classical/medieval music. Their albums combine some fine classical moments (cello, flute, oboe, harp, violin as well as dreamy female vocals) with the iron riffs, growling male vocals and raw violence of death metal bands. They have released a mini-CD in 1994 but fans of the genre have only praises for the subsequent two albums "And Thou Shalt Trust. 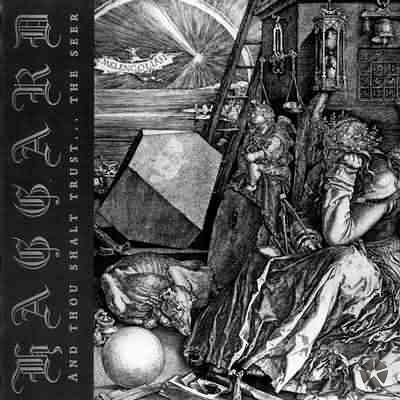 the Seer" (97) and "Awaking the Centuries" (00), both featuring heavy gothic themes yet beautiful melodies - both deal with the forecasts of Nostradamus. "Eppur Si Muove", released in 2004, still features wonderful musical moments but is more vocally oriented and the growling is a bit overdone, overshadowing/marring the beauty of the music. If you want to wallow in "domesday" fantasy, then HAGGARD will certainly transport you to other times in grand fashion and with stunning sonics. Fans of THERION or melodic death metal in general will certainly want to check them out. As a brief intro to put some context with respect to this review today: I have just met a prog friend who owns a cafe that plays no music but prog. It's located quite far away from Jakarta, or precisely at Jombang, East Java, roughly 800 KM away from my resident. I was introduced by him a RIO band called as Cosa Brava which uses many violin work throughout its unique musical composition. I was in a progring (progressive gathering with the owner of the prog cafe, Edi Apple Santoso) discussing the music of Cosa Brava as well as Ceramic Dog and Tin hat plus some other RIO bands. What mattered to me was the fact that I am not that familiar with RIO but I love the sound of violin in prog music. I suddenly remember haggard and I have this Awaking The Centuries that I have not reviewed yet. Well .. I have to admit that once I knew their debut album I was not following the band intensively until I found Tales of Itheria which to me is a really wonderful album with no flaw at all musically! And now I am having the Awaking the Centuries which to me is an excellent album blending metal and classical music, I think the root is actually classical music through the use of violin as well as flute. But then the band push forward the envelope to make the music as colossal as possible to make it really a BIG thing at the end. The result is truly an excellent music composition combining great choirs, growling vocal plus metal music and string arrangements. WOW! I like it very much. The first four tracks to me is a comprehensive offering opened with a nice choir as intro ini Rachmaninov: Choir (0:37) followed beautifully with Pestilencia (1:53) , Heavenly Damnation (2:58) and The Final Victory (3:35) . I can see the band tried very hard to blend nice melody with various components of the music: the string arrangements as well as the growling vocal line that becomes an important part of the music. I also like the transition segments where the violin or flute put its work beautifully. The female vocal that accompanies the growling part is also great! Oh boy .. it's a wonderfully crafted composition, really! Maybe the peak is the fifth track where Awaking The Centuries (9:33) being played with excellent exploration of growling, female vocal and violin work throughout the music. I am touched with the piano solo at the beginning of the track. I can say that this track is really a msterpiece and it isnpires the next album of tales of Itheria where the composition is quite similar with it. The male clean vocal inserted somewhere in this track is also terrific even though it's just a filler. But then it flows with another great piano solo combined with acoustic guitar! WOW!!!!!! This is another excellent prog music that blends the heavy side of the music: metal and string arrangements. If you like the exploration of violin combined with great and touchy piano solo, wonderful string arrangements, nice choirs as well as growling vocal, I bet you would love this album! Keep on proggin' ...! Don't get fooled by what other people think about this album. I don't need to have a privileged hearing to realize that this IS progressive metal, more progressive than other supposedly progressive bands like Opeth; in fact, this is REAL progressive death metal. It is a smart and outstanding attempt to do what few bands at the moment were doing (e. g. Cynic): fuse speed and death metal in a progressive and melodic melting-pot, crowned with lyrical content that is even better (for it is coherent and very critical) than that of the band's following albums (yes, the fact the other albums have some latin gibberish included doesn't make them outstanding). The production is dark and murky, which fits the underground context in which the album was conceived. The music is eclectic and experimental, musically offering a wide range of influences from classical tremolo riffing to experimental arabic/persian soloing. There are many tempo changes throughout the songs, always accompanied by an intuitive drumming. The overall product is extremely pleasing for any REAL progressive death metal fans. It is complex, technical, almost avant-garde metal music born from a real impetus to create something powerful. This album is the proof that Haggard didn't need 15+ members to produce outstanding music. Haggard is more than just a band, it's an ensemble of right now twenty-two musicians that mostly have a classic music background and play instruments such as a harpsichord, a piccolo or a timpani but also more common instruments such as cellos, contrabasses and diverse flutes. The whole group is kept together by mastermind Asis Nasseri who is of Afghan and German descent and who plays guitars and some percussions and who also does some growls. He was the main force behind the new record that is not influenced by historical contents as it was the case before. The band leader created the fictional world of Ithiria and even wrote a book about its fantastic tales. The record focusses a lot on the narrative parts and includes five interludes. The lyrics are performed in English, German, Italian, Latin and Spanish and some songs include several of these languages. Musically, the band focusses more and more on the classical elements. The classic instruments as well as the different female and male vocalists in soprano and tenor probably get more space to express themselves than ever before. The death or heavy metal parts have therefor decreased. Some decent riffs, doublebass and blastbeat passages as well as growls are still present but are more and more pushed into the background. The whole band is probably only comparable to the concept of Therion with the difference that Haggard have a more folk and also opera orientated feeling instead of a strong classic and symphonic side in Therion. 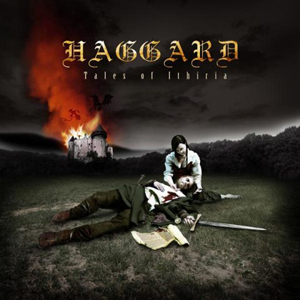 Personally, Haggard don't sound as diversified, majestic and perfectly arranged as Therion do but they are surealy worth a try for any fan of symphonic metal. The record has a couple of positive but also negative facts. Let's start with the bad stuff first. The strange breathless and inhaled sounding growls are definitely a big letdown and don't fit to the well arranged instruments and mostly highly skilled other vocalists. The mastermind sounds as if he would suffer from lung cancer or if he entered the studio after having smoked dozens of cigarettes before. 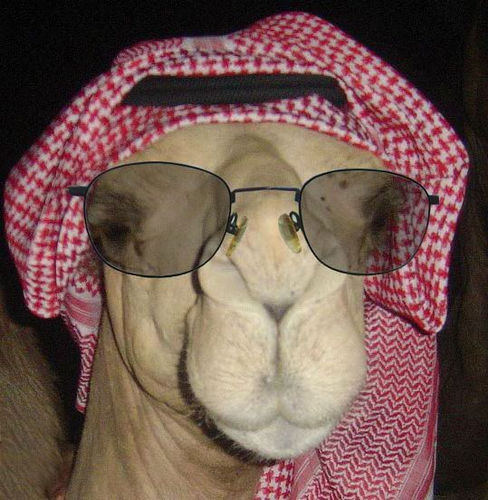 On the other side, I know no vocalist that growls like him and one must admit that his style is quite unique. But unique doesn't always mean original and the band should definitely ask a better death metal vocalist to help them for the next record. Another little complaint goes to the female vocalist that performs on the well known Spanish "Hijo De La Luna" that feels a little bit out of context on this album. I don't really speak Spanish but I have been a couple of times in Spain and I have also met people from Latin America to have the impression that her pronounciation sounds quite weird. The original pop verson of Mecano is definitely better but the song still overall remains a good one in Haggard's version, especially from the instrumental point of view. The track sounds of course heavier than the original but not too much to harm the original's magic feeling. Otherwise, the guitars definitely need more space on this record that is dominated by classic instruments and all the different vocalists. Too many cooks may spoil the broth but I would have liked to hear some energizing guitar solos. Apart of piano solos and some violin or flute parts we don't get any true solo on this record. Other folk or symphonic metal bands have shown how great flute or pipe solos could sound and Haggard should try this out, too. The album is divided into narrative introductions and five main chapters that are the actual songs plus the Mecano cover song. The band needed almost four years to come around with this record and only about half an hour of actual music is not very much in the end. Another negative fact is that there is always a break between the narrative parts and the songs that belong to them. Often, the introductions build up an epic atmosphere as if they were written for a score but then we always have a fade-out and short break before the next song slowly pulls off. We only talk about three to five seconds and some people might say that my judgement is a little bit harsh but these few seconds are enough to destroy the well developed atmosphere and derange the lsitening experience. Next time, the band should put introductions and main songs into one song or at least create fluid transitions. Now, this all sounds quite negative but we are talking about details. The classic instruments sound great and have different skills to offer. Male and female vocalist work very professionalt, no matter if they perform solos or are combined in epic choirs. There are many calm and folk orientated passages that are very important and help this record to not sound overloaded. This album really has a soul and is well thought out. One can easily follow the main story and feel the slowly changing atmospheres on this record. The short introduction are all surprisngly well elaborated and don't sound boring or forced to fit the concept at all as it is teh case for many other bands when they try to create conceptual records and mostly fail. The weakest song is sadly the title track "Tales Of Ithiria" that is a little bit too slow and sounds quite bulky for an opening epic. Some passages don't seem to fit together at all, the transitions aren't fluid and the song is definitely a few minutes too long. The other epic songs are all better and even great. The charming medieval folk sounds in the calm "Upon Fallen Autumn Leaves" slowly fade into a well elaborated operatic track. The string parts are very catchy and even the weird growls sound rather good on this one. Only the dumb drumming that includes some blastbeats is a definite flaw. "La Terra Santa" also has a calm folk atmosphere that is kept throughout the slowest of the five epics. "The Sleeping Child" is a dynamical piece of symphonic metal with great violin melodies, chilling church choirs and loads of well elaborated changes between fast and slow passages. Once again, the weird growls work surprisingly good in some parts. The final "The Hidden Sign" is a very good mix of soft folk sounds and symphonic metal with some heavy and especially death metal parts. The folk parts remind of Elvenking or even Rondo Veneziano while the metal orientated parts make me think of Eternal Tears Of Sorrow or Therion. It's a very good song to finish a quite good record. In the end, "Tales Of Ithiria" is a great offering for fans of classic, operatic or symphonic metal. The concept is not amongst the most original ones but quite well elaborated in the epic narrative parts as well as in the diversified main tracks. There are some flaws here and there and some improvements to do for the next release but overall, this record is a great listening experience and an atmospheric grower that doesn't fail to bring many images alive in your mind. Originally published on www.metal-archives.com on July 13th of the year 2012. 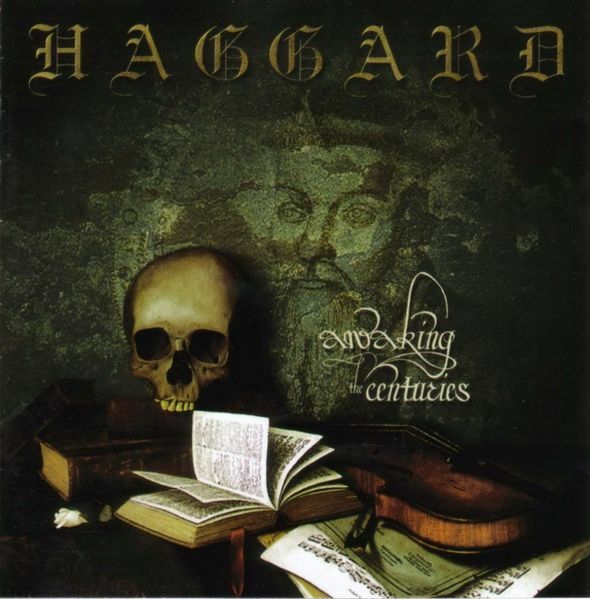 I have not kept up with Haggard's progress since the late 90's when this album was released but I can still remember my surprise when first listening to it. 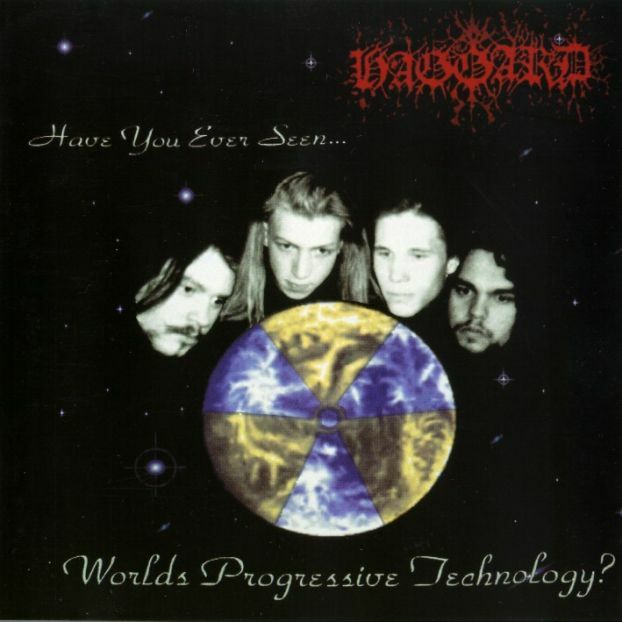 The band was then (and probably still is) considered to belong in the underground scene of atmospheric/symphonic metal, sharing musical influences with bands like Therion, Theatre of Tragedy, My Dying Bride etc. 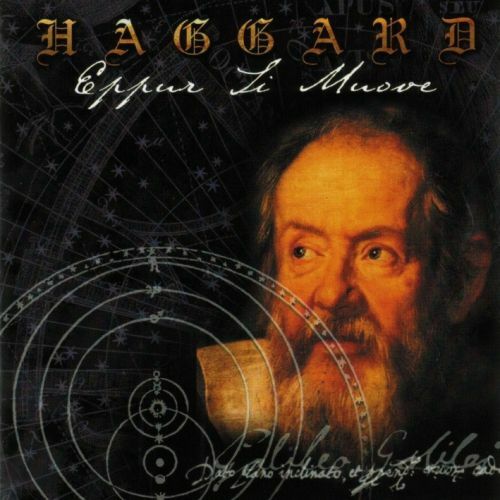 While the aforementioned bands have received considerable attention, this was not the case with Haggard. The cult character of this album was emphasised by its inclusion as a free give-away cd in a Greek metal magazine. The focus on the band's first completed album was given on the symphonic and melodic character rather than the association (if any) with progressive music. Haggard do not deliver something entirely new with this release, but the execution of the music and the compositions work for themselves. The >15-piece band (!!!) produces an amalgam of - popular at that moment in time - atmospheric death/black metal and symphonic/orchestral music. One of the main differences with similar bands in the genre is the inclusion of a full-time orchestra that delivers stunning melodies and remarkable (mainly female) operatic vocals. Apart from the orchestral aspect, which often gives its place to heavy riffs and death growls (! ), there is no constraint of experimenting with baroque, medieval and folk tunes - strangely enough some of them reminded me of Anglagard. Once you believe you are in a sequence of Celtic and bard songs, abrupt breaks of death metal accompanied by orchestral rhythm sections shift the mood to a different dimension. In an pale moon's shadow and De la morte noire, the album's longest and most ambitious compositions, often produce these arresting variations while most of the folk elements seem to appear in the two first tracks that set the pattern for the rest of the compositions. Extra credit has to be granted to the ethereal and enchanting female vocals that enhance the quality of this release. Requiem in D-Minor and Cantus frimus in A-Minor, being solely classical music compositions, are the most captivating moments in the entire album. Production is another element that highlights the album's cult elements with the guitars sounding similar to early 90s north European death/black albums at times. However, the orchestral aspect of the album does not seem to be affected by this circumstance. Metal music fans might be reminded of Therion's Theli and Lepaca Kliffoth but also Theatre of Tragedy's Velvet Darkness they Fear that came out a year before this release. Symphonic and folk prog fans might find interesting elements here, mainly in the classical moments of the album but have to bear the death metal growls and brutal male vocals. Nevertheless, this is an excellent example of mixing metal and operatic music in a way that does not deteriorate the importance of each genre. I was really charmed with their very good debut album, but little by little "Haggard" was dragged into a more metal style with lots of growling. And these have never been my cup of tea. The very much Italian titled "All' Iinizio è La Morte" doesn't hold anything Italian: it is partially "sung" in German which is not the most romantic language for prog music as far as I'm concerned. The originality of their vocals was the combination of pure and delicate female vocals backed up with discrete growling. On this album, you'll have to switch the characteristics (but it was already the case on their second opus). Still, there are notable exceptions on this work (hopefully). The recipe of short classical pieces to break the overall metal mood is again used. Originality dropped quite subsequently, I'm afraid. But there are several tracks which reflect the enchantment of their debut as the excellent "Per Aspera Ad Astra" and "Of A Might Divine". The combination between classical and metal is beautifully reconstructed on an equal balance. Same proportion is reached between aerial (even if at times theatrical) vocals and growling. I was enthusiast about "And Thou Shalt Trust" for these reasons; and the charm operates again. Some small diversion of little interest ("Herr Mannelig", "The Observer") can be skipped to reach another piece of interest faster. The title track is another winner and a true kaleidoscope of their music: wonderful classic parts, tremendous metal lines, superb vocals and scary growling. Quite a challenge, but very well performed. Some sort of prog metal opera of a unique style. The string section is just phenomenal. A highlight of course. This album is a fine reconciliation with their great debut. Three stars. As I wrote for their debut ""And Thou Shall Trust...", the most difficult achievement would be a confirmation of their talent. Their first album was rather innovative (at least I felt so) and mixed unmixable musical genres: from heavy metal to classic. But it is too much of a growling affair to my taste. The combination with short classical passages is not working very well, and the whole just collapses IMHHO. The first song which I could depict on par with their debut is "In A Fullmoon Procession" because it holds melodic female vocals, some medieval fantasy but it ends in some chaotic growling unfortunately. Unlike their first release, the vocals are weak here: lots of growling while these ones were reduced to a background feature. I am NOT a fan of this type of "experiment". Six tracks out of twelve lasts for less than two minutes and are quite useless. Most of them do hold the "press next" attribute. This is not a good album. I really wonder what went through their mind after their very good debut. This one sounds as a (bad) joke really. No fun at all. Uninventive. In one word: boring to death and somewhat painful for my ears. 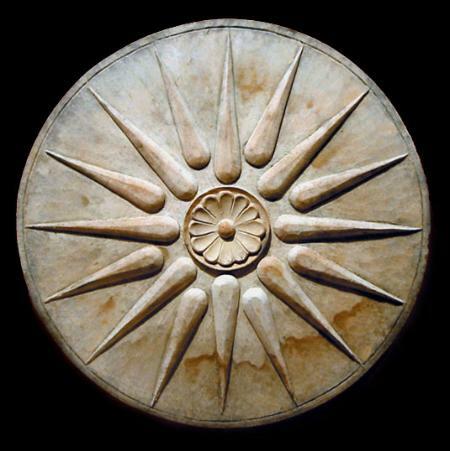 "Awaking The Centuries" is quite a huge deception as far as I'm concerned. From a very creative start, the band quickly showed his limits. Let's hope that they'll wake up in future albums. This one rates quite low on my scale. From three out of ten, I'll upgrade it to two stars but no more. This is quite a difficult album to rate or review. There are such opposite genres featured in this album that one really needs to be open minded and quite ready to receive this album as it is: almost classical and pastoral to heavy metal with some growling as well! Quite a ride for sure. I prefer the softer moments indeed but let's say that the whole sounds quite different than usual. There is a section of chord instruments, some fine flute and a choir featured on top of some more traditional bass-drum-guitar section. The music is melodic yet oppressive ("Chapter II") with superb female vocals backed up with scary growling. What a combination! But it works. As bizarre as it may sound. Be aware though: one goes from metal to medieval music within seconds. Never heard such a mix before. It ends up in some sort of chamber partition. More metal lines are available in the longer "Chapter III: In A Pale Moon's Shadow". But it is still combined with such lovely cello that it makes the ensemble quite appealing. Excellent violin work as well. This album is so varied that you don't have any time to breathe actually. Interesting track by all means. The intro of "Chapter IV" is an extraordinary and condensed short overview of their whole work: to be able to mix so many different influences in some ninety seconds is quite remarkable. But the whole track deserves a special mention. Some good old Sabbath doom is even featured in this daunting song! This band was able to offer a rather special album. The biggest challenge will be their next works, since the effect of surprise won't affect them any longer. Even if there are some short interludes with less interest, I rate this album with four stars for its originality. This demo from Haggard is totally different from the albums this band has released. This is death metal. Don't be fooled by the title. This is not anywhere progressive. Not even in 1993 and not today. Death metal with some references to the band Death and with some guitar parts with pretty standard black metal tremelo picking. Add some references to Pestilence too and this is the end product. The death metal is slow to mid-tempo with a lot of reference to old doom metal and today's sludge metal. The quality is pretty abysmal. It was pretty abysmal in 1993 and it is still abysmal. There is nothing here which I find interesting or good. The band is even warning people not to buy this demo (now released as a mini CD) from their own webshop and I can understand why. This demo is not kind to their reputation. I fully agree with Haggard's own warning to their fans. Wonderfully-crafted concept album, masterpiece composition! I have been listening to this brilliant album more than 25 (twenty five!) spins in its entirety. And until now when I am writing what it's gonna be a long, novel-like, review I have never been or will never be bored with the music offered by this wonderfully-crafted album. There are two significant reasons that have made me entangled with this album especially enjoying it in its entirety. First, this album came to me just one day after israel attacked Gaza in December, 2008. The situation I experienced was in sad mood watching news on television and newspapers that many civil people, especially women and children were killed by tanks, apache and rockets. No human being will accept the situation, I am pretty sure about it. It's not that I am a muslim, but the issue is truly a fatal tragedy in human rights. How can you let women and children being killed while the rest of the world were just sitting and watching the news? Unbelievable. And under that powerlessness, this album came to me. It blew me away at first spin because the nuance that this concept album creates is in away similar with what happen in Gaza. Well, even though the story of Ithiria is actually fictious, but the nuance created fits the situation of Gaza, really. Well, at least for me, especially. Second, apart from subjective situation I was experiencing by the time I had this album, this is a true masterpiece as it has successfully combined the heavy stuffs of power metal music, great and killing melodies of every single song as well as bridges between song, and well-crafted composition by merging all classical music string sections into heavy nature of the music, and solid story-line. It's not it! Most people are actually do not like growling (refer to research conducted by Classic Rock magz where 75% of its readers do not like growling vocal). But with this one by Haggard, I think most people would love the growling vocal style offered here: it's heavy, pretty clear and so powerful! In fact, whenever I listen to this album I always expect when the growling part will take place. This album has much more to offer as it also has . a great narration that sets the overall tone of the album . The Origin (1:57) kicks off the album brilliantly with a heavy narration backed with beautiful string arrangements. Imagine you are in a dolby-stereo surround theaeter where the Lord of The Rings movie starts to roll. It's something like that you might be experiencing when you start this album using decent home stereo in loud volume, in order to get the subtleties of the music. Well yeah, you should scrutinize any detailed sound produced by this album because you must get it right. As the narration rolls with the story of the Ithiria, the story before the war that gives complete picture about the situation. Observe when the narrator says "But it has not always been like that". I bet you love the sound produced by this record. Don't stop there, follow the next sentence: "1700 Years ago, during the celebration of the two moons .." you will be blown by the sound when he says "two moons" .. oh man .. it's so powerful and inspiring! And .. the peak of the peak of this wonderful narration is when the phrase is said in inclining mood: "And it seemed as ïf all hope had been forsaken.". Oh my God ..this is truly great! Tales Of Ithiria (8:07) is a very logical follow-up right after the inclining narration ends up beautifully. It flows with great duet male and female vocal with high octave notes followed with melodic and killing melody string section combined with stunning acoustic guitar. The mood is so sad ..it depicts like Palestinian who starts to defend their land. "My son, now listen what I say: Keep in mind what you have learned Wrap your fingers ,round your sword. Maybe you will not return. Thousands that we once have been. Only a few are still here. I've to give this sacrifice..." hmmm what a great speech by dad to his son! What follows is a melodic clear vocal by male followed by powerful voice of growling vocal says "... oh, the autumn brought us fear!". Wow.! Man .this is the most powerful growling vocal that I have ever heard so far! The music that follows is basically a great (and weird?) 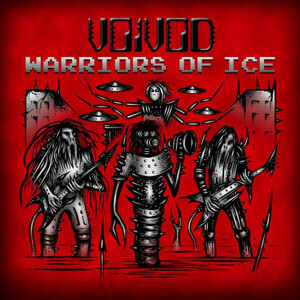 combination of heavy riff power metal with maneuver of string arrangements using violin, cellos and other instruments. I find many surprises demonstrated by this song. There is a dark and sad mood combined with heroic yells through the growl. Well .. I believe if you have open minded progressive ears, you must love this song. There is no reason for disliking it as it offers the beautiful combination of choirs, heavy riff metal music, wonderful string section and melodic notes all over the song. The structure of the song is also progressive as it moves in unpredicted way but every single move is done smoothly. From Deep Within (0:26) is a narration that provides a transition to the next track "Upon Fallen Autumn Leaves". Again, this narration is great and it guides us to the stage where by the time arriving at his farmhouse, he saw his father's lifeless body pinned to the front door by two arrows. It's a sad happening, really. Upon Fallen Autumn Leaves (6:38) starts nicely with a classical music intro, similar with what Rhapsody (of Fire) has ever made. What makes this song unique is the high register notes the female vocal followed powerfully with deep and wonderfully growl "Moonrise .On my path..." supported with white-knuckle speed guitar riffs and double bass drum in typical power metal scene. This is song is the combination of heavy side of power metal, classical music, melodic singing, clean and growl vocals and string section with cello / violin. In fact the string section has successfully demonstrated the ability to do riffs that usually delivered with electric guitar. In this case the electric guitar riffs provide the foundation for the riffs produced by the string section riffs. It's a fabulous idea, indeed. The Germany lyrics that the female singer sings "Als ich nun wand´re auf dem Pfad." enriches the song nuance, coupled with many breaks followed by male growling vocal. "Suddently ..Along the mountainside" . What I consider as the peak of the peak of this song is the part where the singing is performed in choirs fashion using this lyrical verse: "Requiem aeternam dona eis, Domine / Et lux perpetua luceat eis / Te decet hymnus, / Deus, in Ithiria / Sanctus / Dominus / Quid sum miser tune dicturus / Requiem / aeternam. Il mistero / Valli di Ithiria.". The choirs flow beautifully in an inspiring mood. The great and expected segment is the growling vocal That dimmers deep within / Night at Gildeon´s Woods. And the peak has not finished as it continues with heavy, powerful and wonderful growling section starting with Did you ever wander? / And you got lost on secret paths? Oh man .. I like this part. And the most beautiful segment is the subtleties produced by organ sound at minute 4:00 when the lyric says That saved you from the dark. Oh my God .. this is truly great. The growl yells again with "Moonrise.". And then the similar choirs style follows with Germany's starting with Wenn auch die Hoffnung in mir schwand.. In Des Königs Hallen (2:05) is a nice instrumental in dark nuance that serves beautifully as a bridge to the next track. It comprises a nice combination of organ / keyboard and string section with classical music style. La Terra Santa (4:56) is another great track which starts in sad mood using classical music string section with killing melody followed with deep, heavy and clean male vocal in narration style (a bit). The way the male vocal sings depicts the situation of the war quite well. At the end of the second verse of the lyrics the vocal moves smoothly from clean to growl Oh God, don´t let my heart be WEAK tonight. This song serves as a motivational part for those who want defense their land against the attacker or Zionist. You might have known that Roger Waters in his album "Amused to Death" did say in the "What God Wants" song where God wants jihad, it seems like the similar situation appears here. And the hero tells the young with great and inspiring motivational words: I hope you don´t fear Neither do I / Bring me my sword / And kiss me goodbye / This time I hold you / Here in my arms / Will be the last. I am really touched with this segment especially with the perfect words used here. To me it transcends the situation in Gaza perfectly where young men were permitted by their mother to defense for their Gaza land expecting the highest return if they die as syuhada (seek the blessing of Allah The Merciful due to the jihad they have made). The sad situation is when the lyric says "When Ithiria falls . When Ithiria falls". Vor Dem Sturme (0:36) is a narration that says : Marching long and far, day turns to night. Scattered campfires flicker on 3000 mighty warriors who sharpen their swords and axes, never knowing ïf they won't return. The Sleeping Child (6:12) starts with classical music string section followed with power metal music in high speed. The first vocal part is a male growling vocal followed with choirs section after two lyrical verses performed. The blend of power metal and classical music is really nice here. The female vocal also delivers in its best high register notes followed with string section maneuver that indicates the return of the music to power metal scene again. Hijo De La Luna (4:21) is a mellow song with female vocal sings in non-English language backed with classical music as its foundation. The string section serves as main component of this song even though the music has heavy guitar riffs as well. Whenever the music requires some accentuation, the guitar riffs serves as main platform of the vocal to sing. In every transition piece the string section serves critical role. It's a catchy tune. On These Endless Fields (1:04) is basically a narration towards the end of the story and it depicts the situation where the war fields have always produced battles between two sides - it's similar like Gaza, isn't it? The Hidden Sign (6:25) confirms that all tracks provided with this wonderfully-crafted concept albums are all excellent as this one starts with classical music followed with the powerful guitar riffs. The interesting part is, off course, the growl vocal that follows. Not only that, the break section after the growl singing where the keyboard takes its part as a symphonic music (approx minute 2:00) followed with great female choirs and growl. Oh man .. it's really great. Piano is also used in some of the breaks to strengthen the classical nature of the music and confirms that this album is rich with textures, strong in nuance, solid composition. What can I say more about this album. And excuse me my friends .. I do not intend to bring you into this level of detail and long review that makes you getting bored with it. My apology on that. My intention is to make a high appreciation on this brilliant concept album. In fact I did try to write the review sometimes ago but I could not make it as the more I listened to it the more I think I should add. If you ask me to rewrite again next month the list of good things will come up on my next write-ups. But I should end here this time as it has been now three and a half pages of write-up already. It's probably the longest that I have ever written for any music review. I can not help it. I can only recommend you to buy this album and have your opinion about it. I bet you will view it at least four stars rating. Well you can discount my five-stars rating due to my subjective view about this album. Hey, this is similar like when I heard Marillion "Script for a Jester's Tear" at the first time in 1983. I repurchased the cassette three times because the cassette worn out due to many spins that I made. If this "Tales of Ithiria" is in the form of cassette, I might have done similar with Script. There is no single day since December 28, 2008 that I do not play this album in its entirety. It's like my daily bread (well ..in my case is "rice" because Indonesian prefers rice than bread). A true masterpiece. Go get the cd! Peace on earth and mercy mild. Keep on proggin' .! 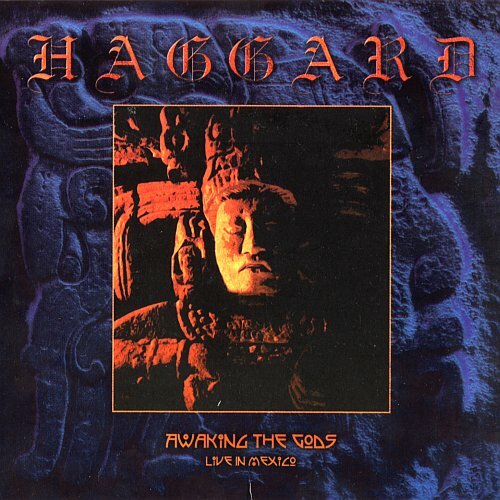 After a break of four years and a successful South-America tour Haggard released their third full-length studio album. Not much has changed in their music since "Awakening The Centuries", still a highly appealing (at least to the prone listener) blend of renaissance/baroque-era classical music and gothic/death metal. "Eppur Si Muove" is again a historical concept album and as the title ("And yet it does move") and cover suggests about the life and work of Galileo Galilei, who lived from 1564 bis 1642. As far as my knowledge allows, the band managed quite well to reflect the music of this era. I think it's noteworthy that most of the compositions are written by members of the band. "Larghetto / Epilogo Adagio" is by pianist/organist Hans Wolf, the two short classical interludes "Menuetto In Fa-Minore" and "Gavotta In Si-Minore" are composed by Robert von Greding who was playing clarinet in previous records but left the band meanwhile. "Herr Mannelig" is a traditional song coming originally from Norway and the rest of the tracks had been written by guitarist and front man Asis Nasseri (the one with the grunts). The vocal section, especially the one for soprano had been much enforced here compared to previous albums and they have been placed more to the foreground. One might argue that they started to use a bit too much the genre-typical "beauty and the beast-scheme" as sounding most obvious on "Per Aspera Ad Astra". But unlike with many gothic metal bands it doesn't sound at all overblown and as trying to cover some musical incapability by placing an attractive female vocalist with a pleasant voice in front. The female voices, all presented by classically trained sopranos by the way are as well not suffocated by a wall of keyboard sounds like it's sometimes the case with other bands. The contrasts between beautiful classical sections and aggressive metal ones might be here even more blatant than ever before but still everything's fits together very nicely. Finally I'd like to put a few notes, Asis mentioned in an interview I've read concerning the song "Herr Mannelig" which is lyrically not related to the concept of this album. Obviously he likes a lot this song which has been arranged already by several bands but in his view never in the right way. Originally he was planning to re-arrange it to fit into the concept but then he was afraid it would lose a lot of its identity and he decided just to translate the lyrics into Italian language. Since it's a very precious and atmospheric song in his opinion he chose consciously a mostly acoustic arrangement using only clear vocals without any grunts. It has been placed even in two different versions on the album which might look on first view that this has been done to fill up the CD. They've done this in fact since they've been asked by airplay stations if they would have a shorter track to serve as an introduction to their music. Usually they don't compose their tracks with commercial interests in mind, thus this has been a nice opportunity for them. And I think it's well forgiven if this way some more people find access to the quite adventurous kind of music they're doing. Actually I don't see any reason to give this work an inferior rating than their first two full-length ones though one might blame them for some stagnancy in their style. But on the other hand they became even better, both in playing skills of the metal section and in having tighter compositions. Nonetheless I'd like to emphasize that this is not essential Prog in a general and conventional way but honestly I'm not aware of any other band doing such an unique combination in a better way than Haggard does. And finally I'd like to mention that I bought this CD soon after it came out and it still appeals to me nowadays (which isn't the case with CD's from other bands, i.e. Nightwish or Rhapsody I bought at the same time). I think that's a good prove, that Haggard's music passes the test of time.